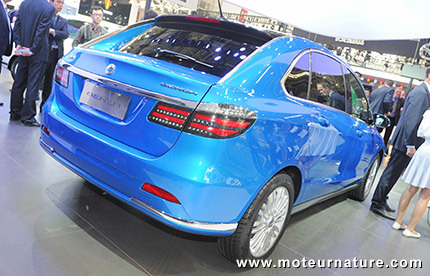 In Geneva, in 2010, the news of a partnership between Mercedes, the oldest carmaker, and BYD, one of the newest, raised many eyebrows. German know-how with cheap Chinese batteries? Nobody was quite sure about the outcome, but the result is on this page, and it should convince most doubters. The car is built on the platform of the previous Mercedes B-class (not sold in America), which was thought from the start to receive an electric propulsion. It had a sandwich floor to accommodate batteries. Many prototypes were built (also in the A-class, which used the same platform), but none ever reached the production stage. 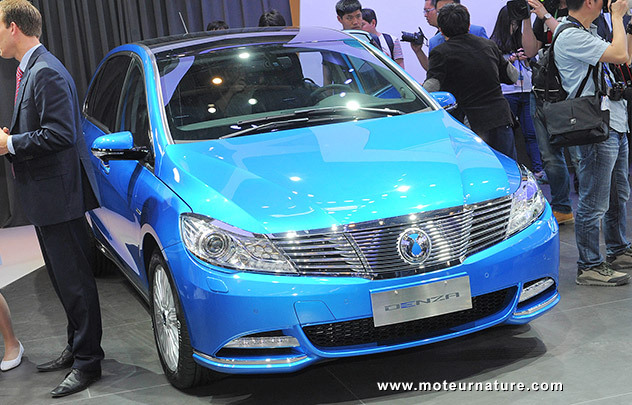 In Europe that is, because here’s the Denza in China. 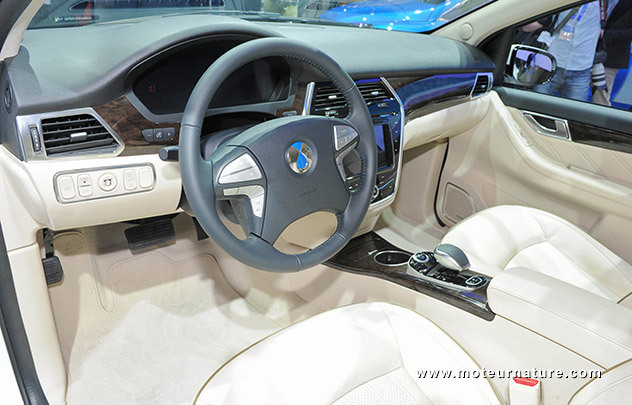 To please Chinese customers who like a roomy back, the wheelbase has been slightly lengthened to give more legroom, and because the Chinese enjoy everything that shines, the designers chose a very flashy grille. Just like in a Nissan Leaf, there are two plugs in the center of the front end, one for slow charging (7 hours) and another for fast charging (one hour). So it isn’t as modern as a Renault Zoé or a Tesla, which have a single plug. 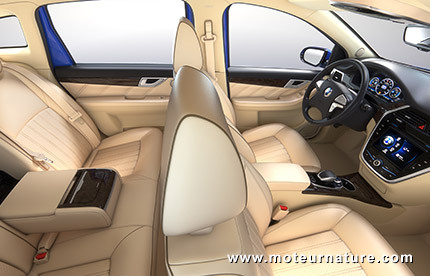 Under the hood, the electric motor gives 86 kW peak (117 hp), with a maximum torque of 214 lbs-ft. That doesn’t sound like much for a 5-passenger car… Inside, we notice a foot-operated parking brake, which looks dated in 2014, and then some cheap plastics, the fake wood on the dash, or the buttons on the steering-wheel, but that’s not the most important. 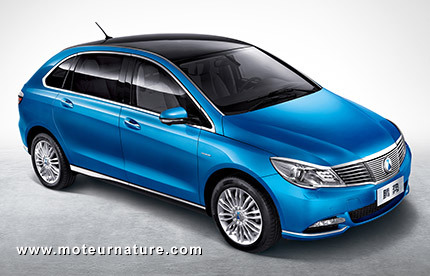 What matters on an electric car is battery size, and BYD and Daimler have been serious here: 47.5 kWh. That’s twice the capacity of a Nissan Leaf, which only has 24 kW. The manufacturer quotes a 180 miles range, and that’s plausible with 47.5 kWh of lithium-iron-phosphate cells, built and designed by BYD himself. Many people dislike electric cars because of their poor range, but as EVs can drive longer distances, there shall be less and less critics… A 180 miles range is more than enough for daily driving with peace in mind. So the only issues shall be weight and price. About the former, we’re still waiting for a complete spec sheet, but unofficially, despite the use of aluminum for the battery pack case, the Denza weighs two tons. So, what about the price? The Denza costs 369,000 yuan (~$59,100) and that sounds a lot but a base Audi Q5 starts at 358,500 yuan in China, so it’s not so bad, and it’s less than a BMW i3 on the Chinese market. Then, there are incentives which can lower the price to 249,000 yuan in some cities (255,000 in Beijing), so it’s really competitive. Some people may prefer the BMW i3 because it’s a much stronger performer, it looks better and it carries the coveted BMW badge, but this Denza has twice the range! That will be decisive for many. 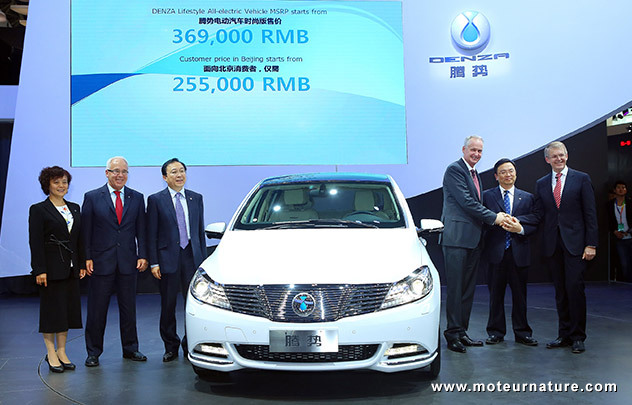 Now the sad part, there are currently no plans to sell the Denza outside China. Of course, it may be possible to buy one in Shanghai, and have it shipped to the West, but it would be impossible (or hugely difficult) to get the car registered. 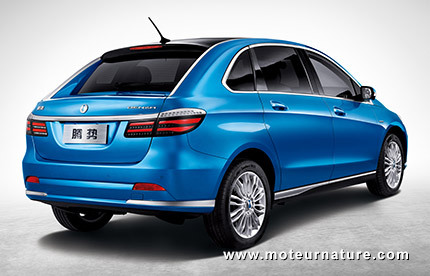 So the Denza will remain a distant dream for all westerners, but it may get big in China. 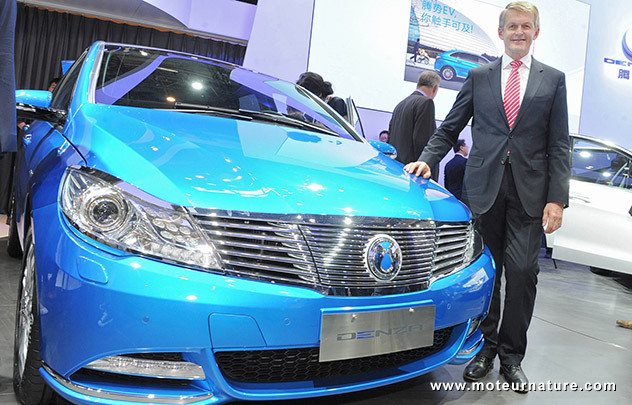 BYD is a very ambitious company, and if one car can convert China to electric mobility, this is it. First deliveries will be in September.